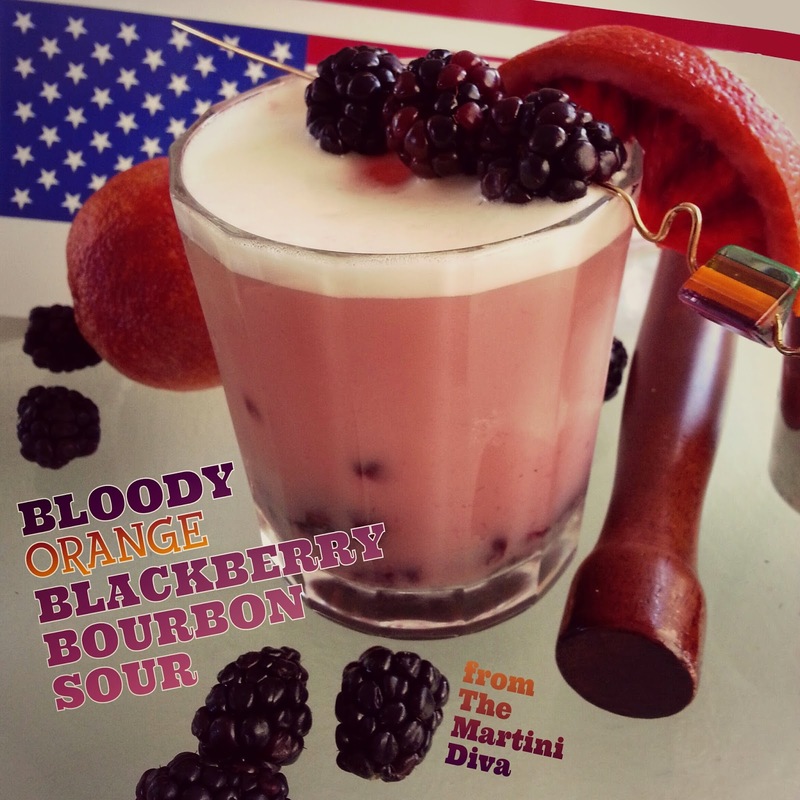 Today I'm celebrating the new season of Netflix's great House of Cards series with this Frank Underwood inspired blackberry and blood orange Bourbon Sour. 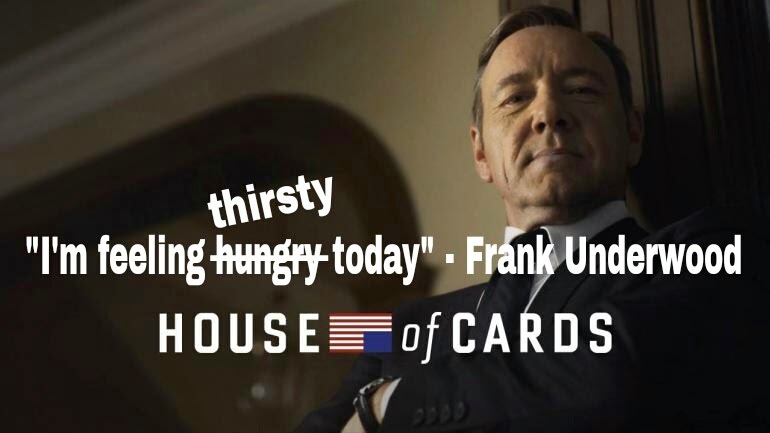 In creating this drink I've carefully chosen my ingredients to reflect Frank's personality, inclinations and temperament. Blanton's Bourbon is Frank's bourbon of choice so .... bourbon! He's always using his BlackBerry so I decided to muddle in a few blackberries, which stand up well to the brown sugar notes of the bourbon. Then I added a bit of blood orange juice. 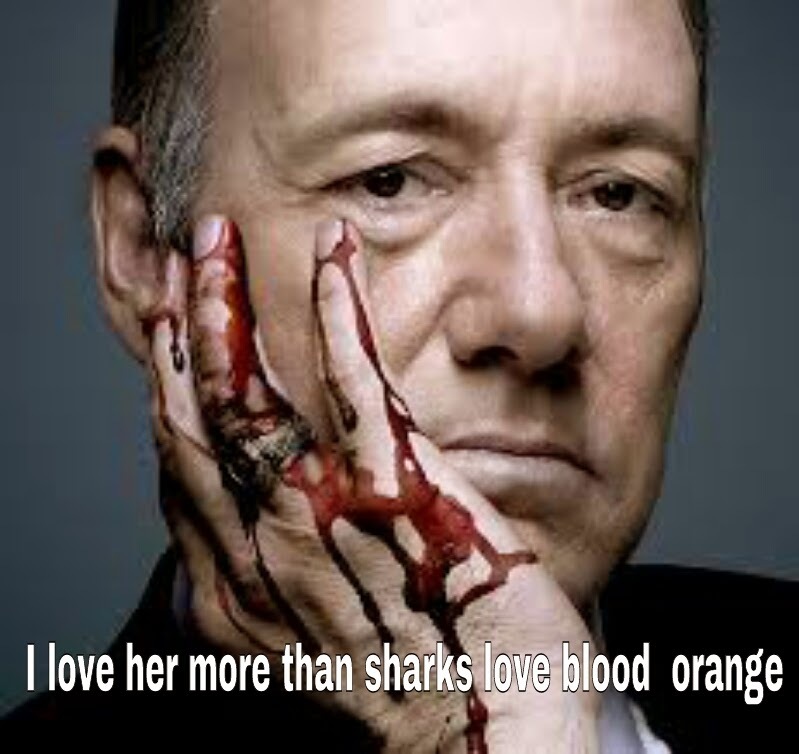 If I have to tell you why blood orange, you're not watching the show! INGREDIENTS: 2 Oz. Blanton's Single-Barrel Bourbon 1 Oz. Fresh Blood Orange Juice 2 Tsp. Blackberry Simple Syrup 1 (1 Oz.) Pasteurized Egg White, Optional* 8 Blackberries Blood Orange Slice TOOLS: Muddler, blender, cocktail shaker, Old Fashioned (rocks) glass. DIRECTIONS: Muddle 5 of the blackberries with the blackberry simple syrup in the bottom of an Old Fashioned (rocks) glass. If you are using the egg white, dry shake (shake without ice) the Blanton's Bourbon, blood orange juice, egg white for 2 to 3 minutes or until the egg is emulsified and the mixture is frothy. I cheat and use a blender because I have shoulder issues and it works just fine. **( If you skip the egg go directly to the next step.) Add the Blanton's Bourbon and blood orange juice to a cocktail shaker filled with ice and shake until chilled. Fill your rocks glass with ice, pour the chilled Blanton's and juice over the ice, stir to mix and garnish with the blood orange slice and the last 3 blackberries. 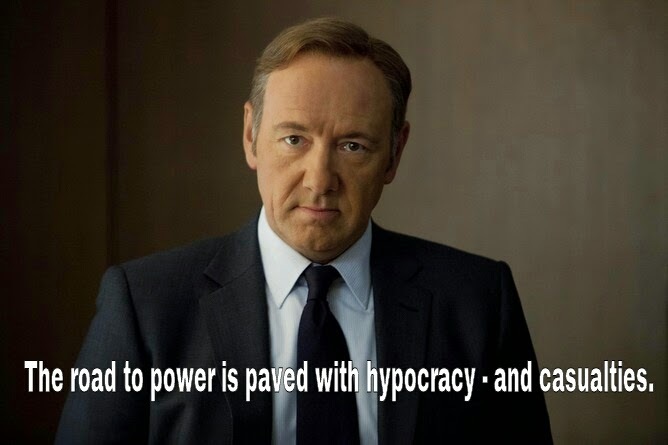 Now, settle in for some political shenanigans and some great drama while you sip! 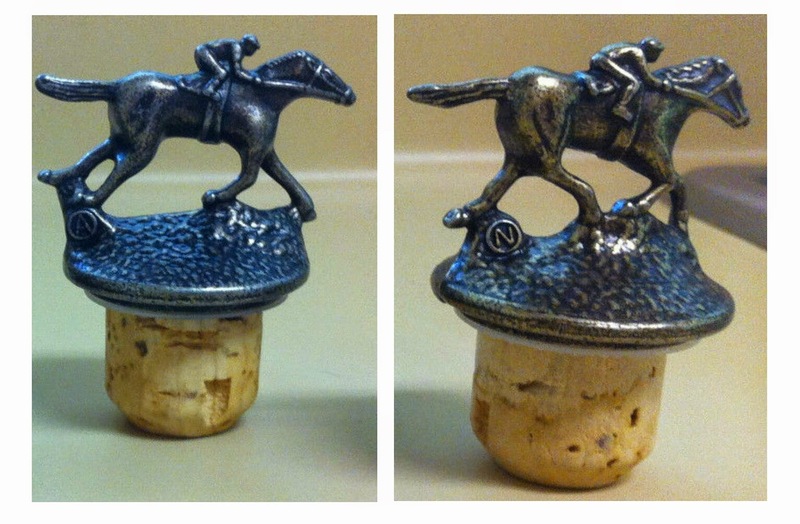 ON A FUN NOTE: Blanton's uses 8 different horse and jockey bottle stoppers which leads collectors on a fun little hunting game to collect all eight. Each stopper is marked with a single letter that spells Blanton's when the set has been completed. Cheating and buying on eBay is whack! If you'd like to send me a little thank you for all my free cocktail recipes, I'm missing letters N and A!